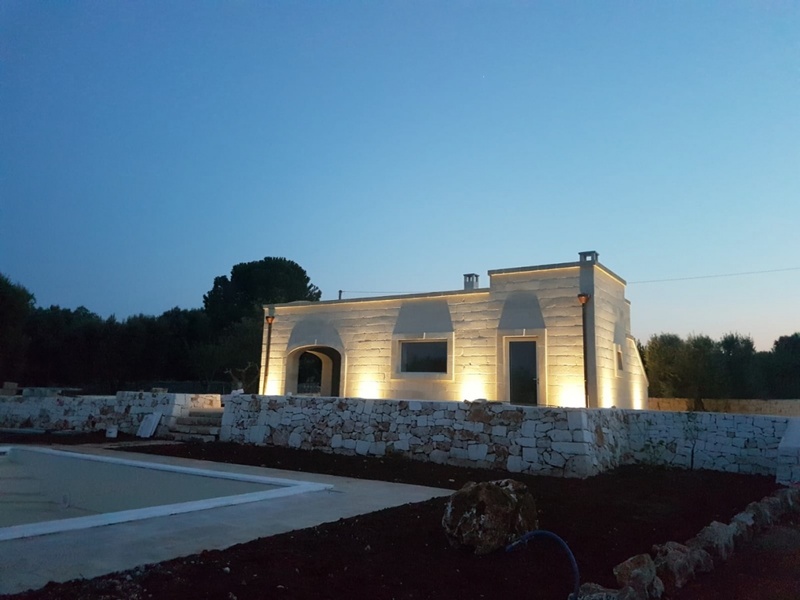 PRICE REDUCED FROM 400,000 EURO. 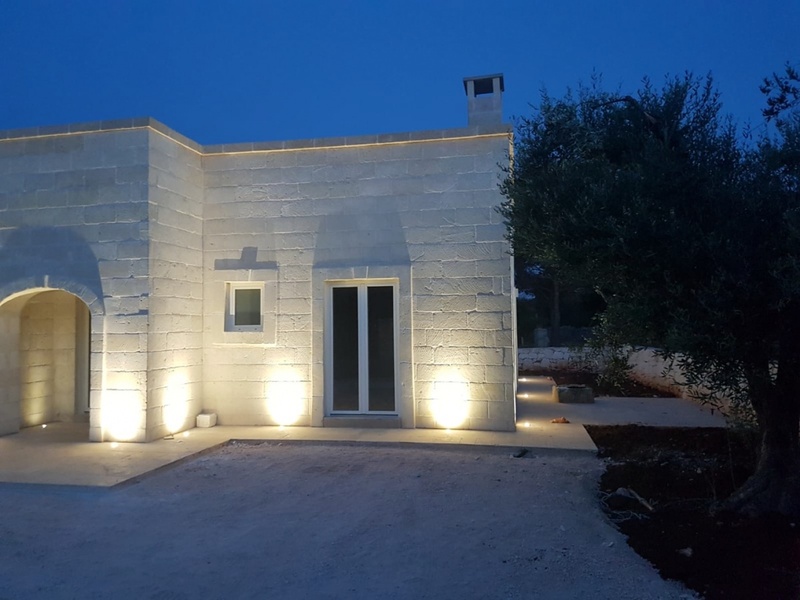 Casa Argento is situated 4 km from the historic town of Ostuni in the direction of Cisternino. 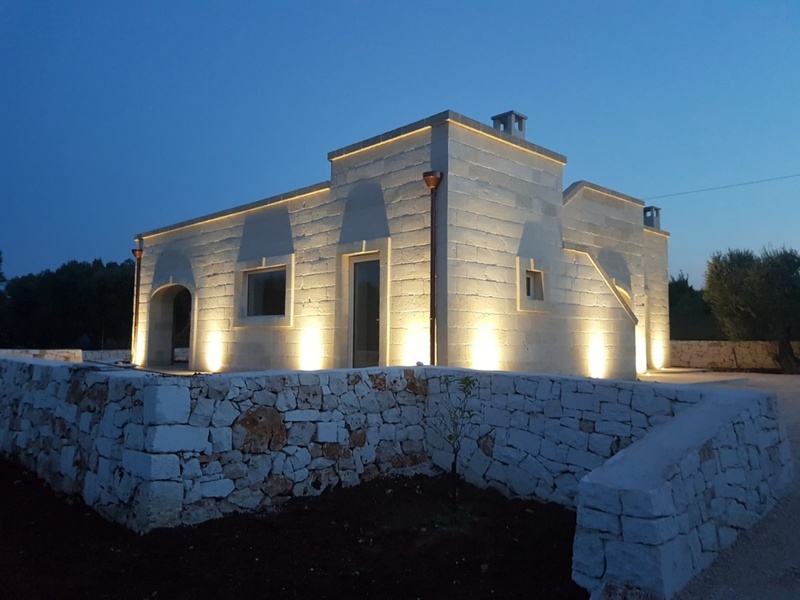 The property is a newly completed villa built with many traditional features. 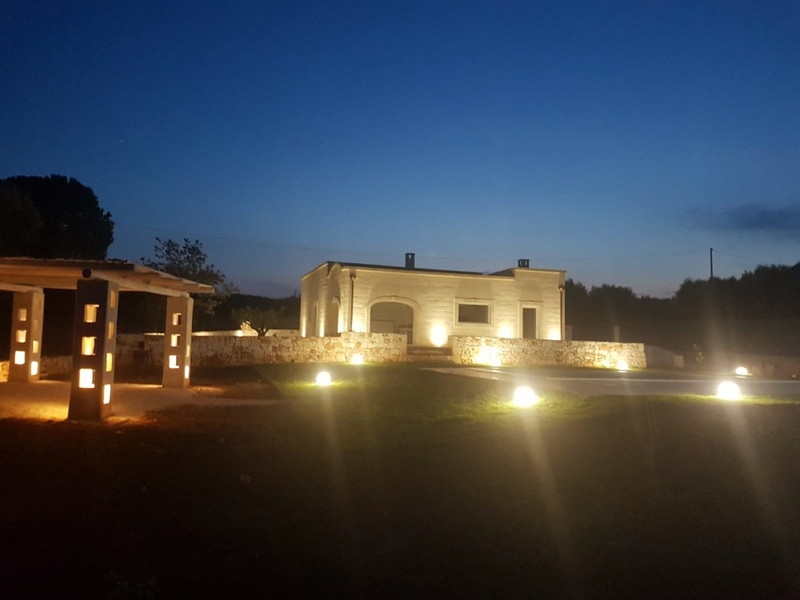 The land measures 5000 sqm and there are 40 olive trees. 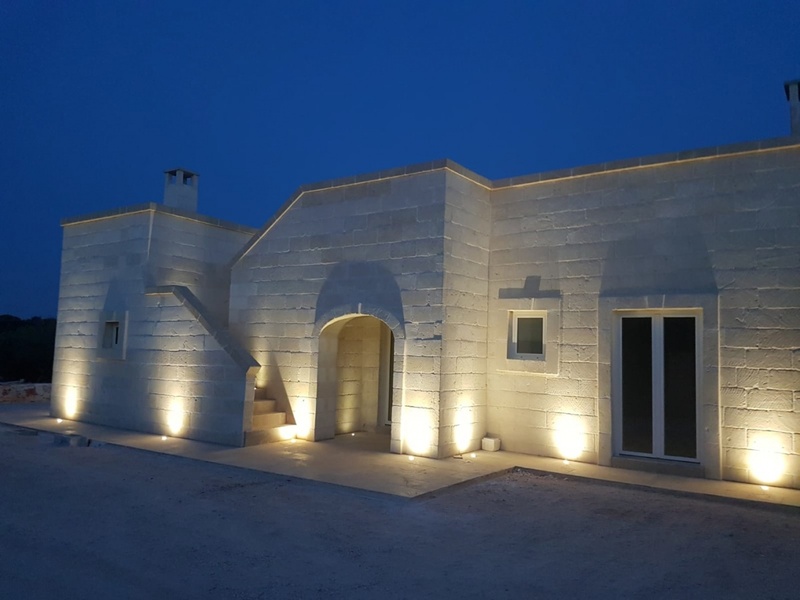 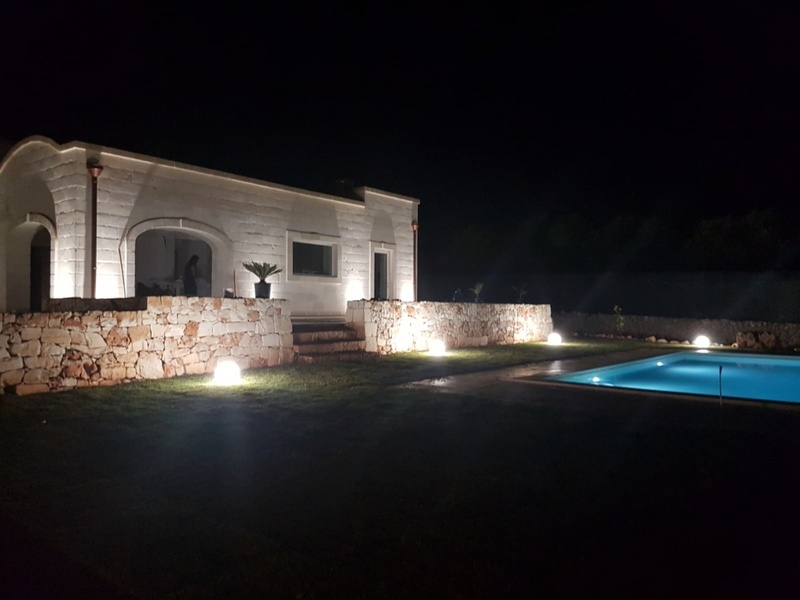 The dwelling area of the villa measures 110 sqm and the accommodation consists of 3 double bedrooms (1 with an ensuite), a bathroom, reception area and a large open plan kitchen/dining/living area with a vaulted ceiling. 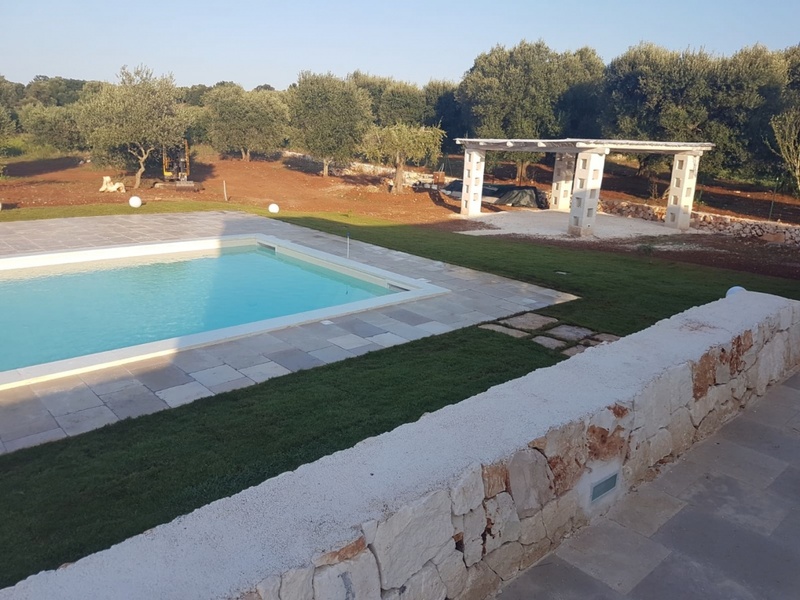 The villa benefits from underfloor heating, air conditioning units and an alarm system. 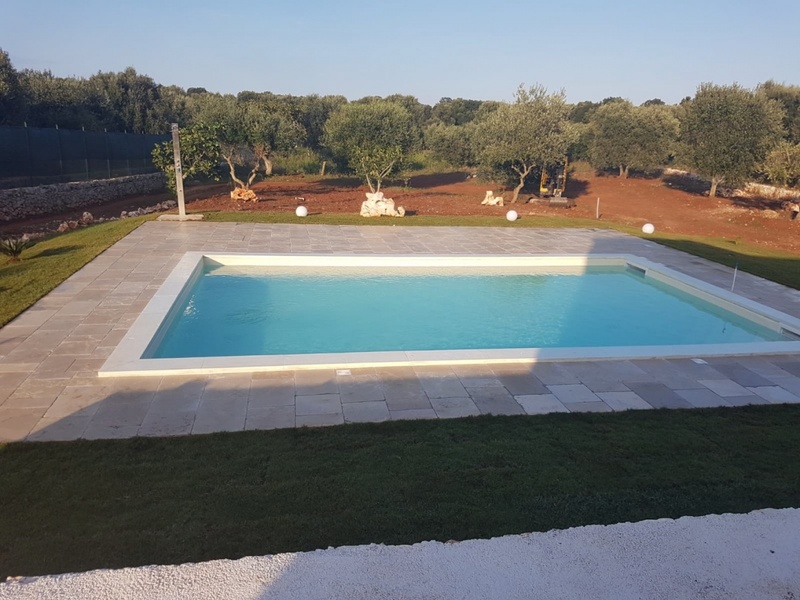 There is a pool which measures 40 sqm, an external shower, a pergola and an external bathroom.